Interested in booking Shirley Paulson of Early Christian Texts as a speaker or presenter? Click here to for booking information. Presentations and events can be created to work perfectly with your event. If you have a specific topic related to the early Christian texts, be sure to send a message to ask about it. 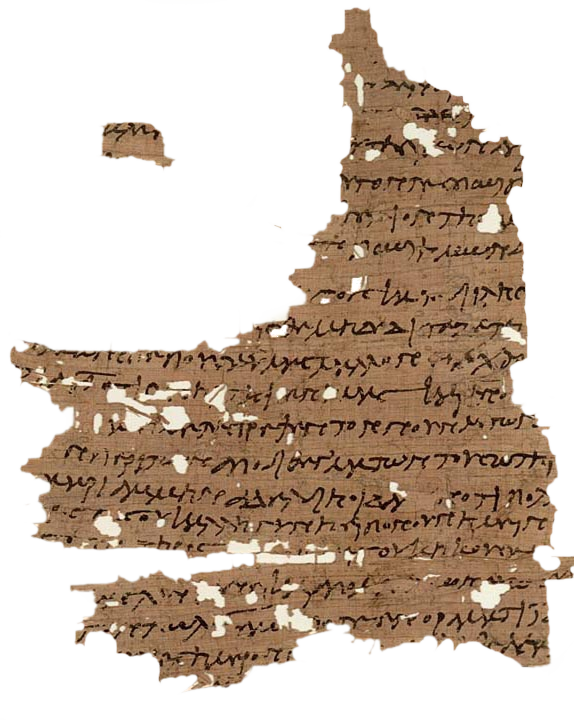 Fragment from the Gospel of Mary, unknown photographer, public domain image from Wikimedia Commons. Description: “Healing and Gender in Bible Times” is a five hour course offered as a part of the Principia Summer Session. Registration for the Summer Session required in order to attend this course. Description: Presentation to be given at the Society of Biblical Literature International Meeting. Registration for the conference required in order to attend. Click here for our online learning offered through Udemy. Start anytime. Work at your own pace! Getting exposed/acquainted to the ancient extracanonical texts for the first time – now I need to go home and study them. Interested in non-canonical healings; how early Christian churches organized; explanations about the Council of Nicea and its impact on history; closer historical context; great perspective: explanations through good metaphors. There was so much here that I could take this again and continue to learn more — have more texts been found? Grateful for all. I think you were very thorough. I appreciate your bibliography and back-up for many of the ideas given. I enjoyed all of it and got a lot out of it.